This kids necktie in pink and brown reminds us of Napoleon ice-cream. It looks best when worn with white, tan, or light rose-pink dress shirts. It is also a perfect necktie for tan suits that are especially popular during the summer months. 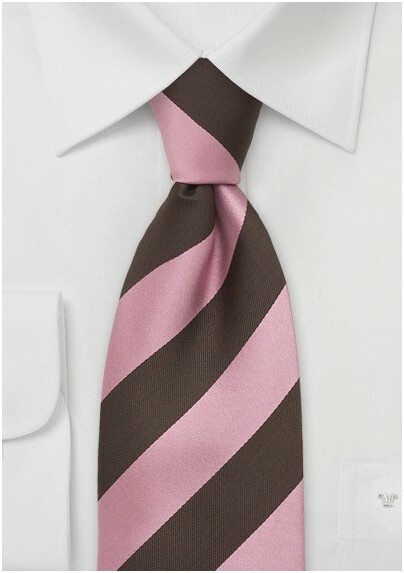 This striped boys tie is a self-tied necktie. 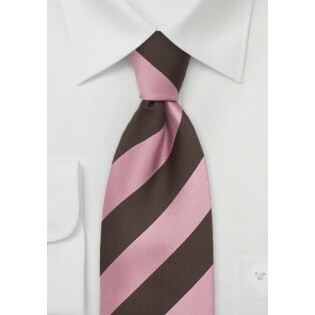 Teach your son how to tie a tie with this pink and brown tie - a skill he will learn to appreciate for years to come. Made from pure silk.